Each year, millions of people around the world avail of vaccines against infections that seasonally emerge. The flu vaccine, for example, is commonly administered each year as a preventative treatment against the development of influenza. The administration of the flu vaccine is based on the principle that the deactivated flu virus in the vaccine will trigger the body’s immune system to produce antibodies against this microorganism. The immune system is the body’s defense system that combats different types of infections that are caused by the entry of pathogens into the body. 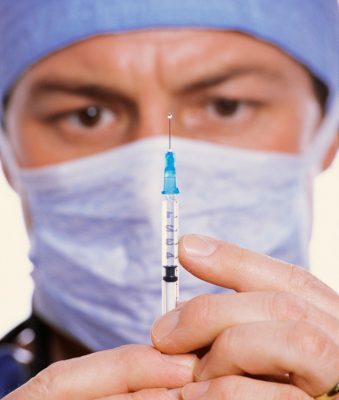 Administration of the flu vaccine may also prevent damage to other parts of the body. Preventative treatment using the flu vaccine to induce activity of the immune system is thus considered as a helpful regimen to achieve a healthy body. According to a recent medical report published in the journal Vaccine, the use of the flu vaccine as a preventative treatment against health damage may also pose risks to certain individuals. The report showed that the preventative H1N1 vaccine may only be beneficial to some individuals, but may not be effect to people who are undergoing hemodialysis. It is important to understand that the preventative treatment against the H1N1 virus generally involves the introduction of approximately 15 micrograms of the inactivated virus, in the hope that this may prevent health damage. The inactivated virus induces the immune system to produce specific antibodies against the H1N1 virus, thus preventing the body from succumbing to the actual infectious disease that may result in health damage. However, hemodialysis patients, who are usually at their advanced adult years, may not be as reactive to the vaccine as younger and healthier individuals. The research study involved approximately 110 patients undergoing hemodialysis, as well as 173 healthy subjects, who were all administered with the preventative H1N1 flu vaccine. All study participants were screened to be free of flu symptoms, thus indicating that the introduction of the preventative flu shot may assist in preventing health damage that may occur upon infection. After administration of the preventative vaccine, the study participants were then tested in terms of their production of antibodies against the flu virus. The level of antibodies produced by the immune system may serve as a direct indication on whether the preventative treatment was indeed effective in preventing health damage related to flu infection. A higher amount of antibodies produced by the immune system will thus show that the preventative vaccine was effective, whereas a low level of antibodies will indicate that the vaccine was ineffective. The results of the study showed that the hemodialysis patients showed a lower amount of antibodies produced by their immune system. This observation suggests that despite the use of the preventative treatment against health damage due to the H1N1 virus, hemodialysis patients may still be prone to H1N1 infection and other similar diseases. This observation may be quite alarming because this shows that this specific population may suffer from further health damage related to flu infections. In addition, the administration of the H1N1 vaccine may also not induce the immune system to produce the appropriate antibodies that will combat the microorganism. The recent medical report suggested that there is a need for further studies on whether certain populations, such as those undergoing hemodialysis, will need multiple vaccinations to activate their immune system, as compared to the general healthier public. It may also be possible that a higher dose be administered to hemodialysis patients, yet it will also be important to determine whether a higher vaccine dose will not impart additional damage to the rest of the body. Although the current dose used for immunization does not result in side effects, it may also be helpful to determine if the immune system is still capable of dealing with higher amounts of the vaccine, to prevent unnecessary damage to one’s health.